Spies, poison, and curses surround her…. Is there anyone she can trust? 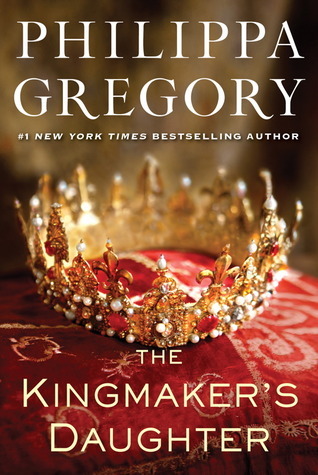 In The Kingmaker’s Daughter, #1 New York Times bestselling author Philippa Gregory presents a novel of conspiracy and a fight to the death for love and power at the court of Edward IV of England. At the court of Edward IV and his beautiful queen, Elizabeth Woodville, Anne grows from a delightful child to become ever more fearful and desperate when her father makes war on his former friends. Married at age fourteen, she is soon left widowed and fatherless, her mother in sanctuary and her sister married to the enemy. Anne manages her own escape by marrying Richard, Duke of Gloucester, but her choice will set her on a collision course with the overwhelming power of the royal family and will cost the lives of those she loves most in the world, including her precious only son, Prince Edward. Ultimately, the kingmaker’s daughter will achieve her father’s greatest ambition. 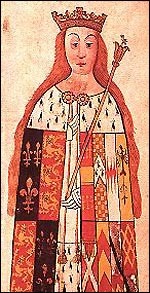 Anne Neville was a lesser known noblewoman and queen of England. In The Kingmaker’s Daughter, Philippa Gregory brings Anne to vibrant life by writing about her difficult life and subsequent rise to glory as Queen of England. What is most heart-wrenching about Anne’s story is that she and her sister, Isabel, were pawns to the men in their lives whose quest for power was relentless. Although Anne is not the spirited, feisty heroine of other historical biographical novels, she is truly fascinating. It is important that these women’s lives are written about, not only to show the extent of their suffering at the hands of the men surrounding them, but to clearly reflect the true status of women and their lack of rights in all eras of history. What is important is that Philippa Gregory has written a true and accurate accounting of this woman’s life, and that is what I applaud highly. Her conflict with Elizabeth Woodville is deep and all encompassing throughout the novel and makes for a fascinating story-line. Although Anne is not the fiery heroine, the conflict surrounding her is all consuming and makes for fast page-turning. The novel captures the reader’s interest from the very first to the very last page. It is eloquently written with believable characters, an incredible amount of brilliant descriptions, and wonderful emotion. The Kingmaker’s Daughter is the fourth book in a series about the women in Cousin’s War Series - Elizabeth Woodville, Margaret Beaufort, and Jacquetta Woodville. It is not necessary to read this in any particular order. It is fascinating to see how the author moves between these characters, fairly depicting them and their personalities, despite their faults. Fans of Philippa Gregory will definitely enjoy this novel set in a disorderly and dangerous period in England’s rich history. I highly recommend this! What a wonderful story! I have heard there was the posibility of making these books into a movie or a tv series, you know anything about it? I haven't heard for certain that there will be a movie made about this book, but who knows? I wouldn't be surprised to see this one day. What makes me happiest is that Philippa Gregory is moving away from the Tudors! And that makes me happy.